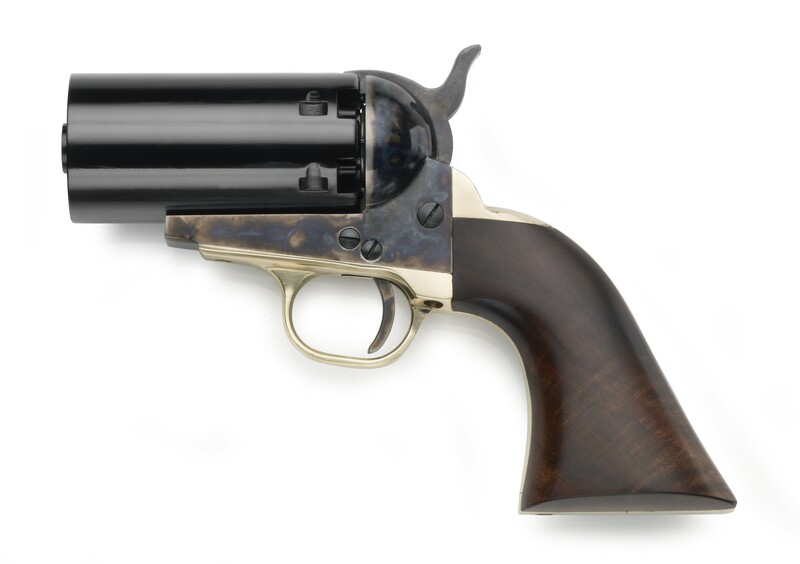 A very popular revolver for its time, the model 1851 Navy revolver was adopted by both the U.S. and British military. 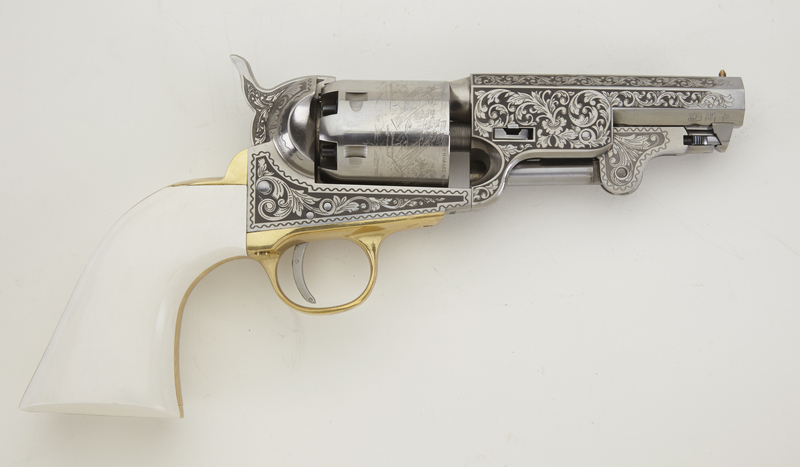 Available in either steel or brass frame, this revolver received its name from the depiction on the cylinder of the Texas Navy's victory over the Mexican fleet in 1843. 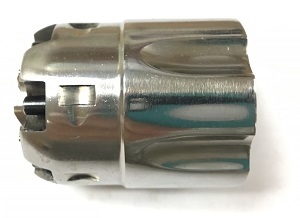 EMF's reproduction is available in either .36 or .44 caliber and 5 1/2" or 7 1/2" barrel length. 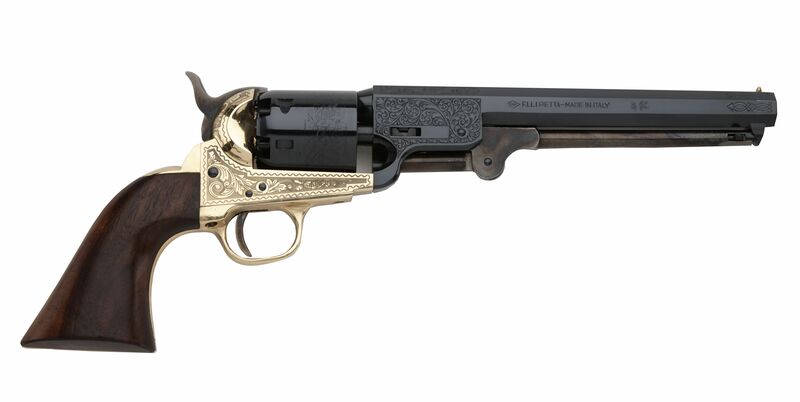 The 12" brass frame Buntline is available in .44 caliber. 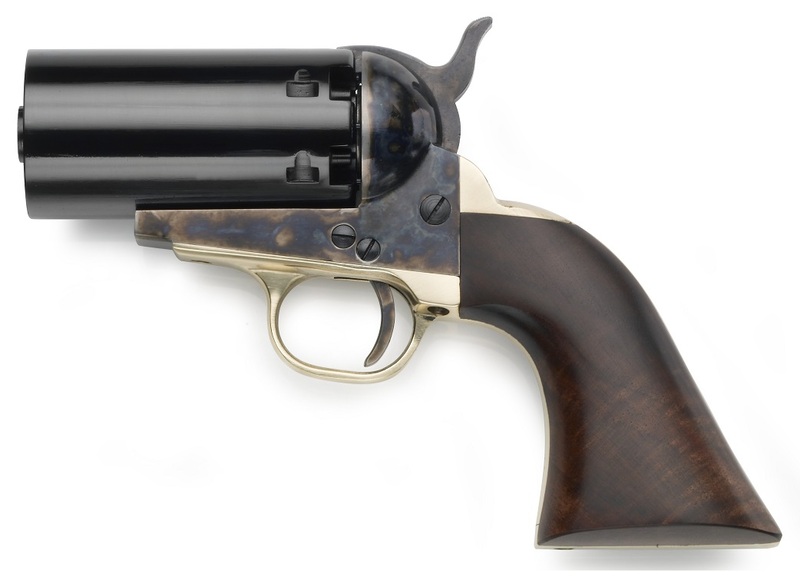 Manufactured by F.LLI Pietta, Italy. ATTENTION: Residents of HI, IL, MA, MI, NJ, and NY - company policy is to ship any Black-Powder firearm to an FFL Dealer only. 1851 Hartford Navy Brass .36 7 1/2"
1851 Hartford Navy Brass Buntline .44 12"
1851 Hartford Brass Sheriff .44 5 1/2"
1851 Hartford Navy Brass .44 7 1/2"
1851 Navy Dlx Brass Engraved .36 7 1/2"
1851 Navy Dlx Brass Engraved .44 7 1/2"
1851 Griswold & Gunnison .36 7 1/2"
1851 Hartford Navy Casehardened Steel .36 7 1/2"
1851 Hartford Navy Steel Buntline .44 12"
1851 Hartford Sheriff Casehardened Steel .44 5 1/2"
1851 Hartford Navy Casehardened Steel .44 7 1/2"
1851 Navy London Casehardened Steel .36 7 1/2"
1851 Navy London Casehardened Steel Square Back .44 7 1/2"
1851 Navy Dlx US Marshal .44 5 1/2"